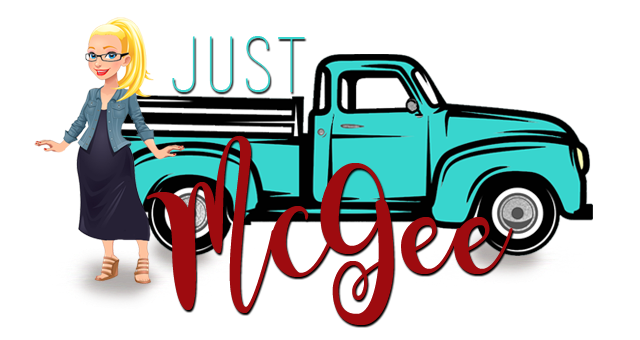 Just McGee: rethinking "Mr. Mom"
But today deserves a special nod! I happen to be blessed to be married to my best friend. There are numerous things I love about him, too many to list. But here’s the thing…sometimes I forget how great he is, just the way he is. This past week I was in New York training for my new job. Mr. Man was here holding down the home front with ALL FOUR KIDS home. I am a good mom. I am. Ask anyone. But even I would feel overwhelmed by all four kids for five nights without my partner. So I arranged the nanny’s schedule. I signed all the kids school paperwork. I double checked the calendar. I did everything I could do to set up success. And it was up to him. So here’s where it gets tricky. As a mom I happen to think that my way is, well, you know, THE way. And while nothing goes totally according to plan, I wanted to think that they would. The first time things seemed to be off course I was cranky and panicky. The second time I was probably rude. The third? Definitely rude. Then I heard him refer to himself as Mr. Mom. Or maybe I saw it. Probably a Facebook thing. And then I started thinking. Just follow me for a sec. Fast forward 7 days, when I get home we have a pretty clean house, food in the fridge, a husband who is really glad to see me and four happy, healthy kids who had a great week with their dad. Not a great week with their dad who pretended to be mom or did things mom's way. They had a week that went by dad’s rules. And dad’s rewards. And you know what? It was good. It was all good. I was so focused on him pulling it off and being the perfect “Mr. Mom” that I didn’t realize I was asking him to not do him, not be dad, not do it his way. And that was wrong. As mom’s I think we tend to expect dad’s to fall in line with our train of thought, be that Mr. Mom when we can’t be there. Out of necessity this week I had no choice but to watch from a far as he did things his way. And his way was great. You do you-because you do it well! Thank you for being the man you are. leading from a place of us, not me.